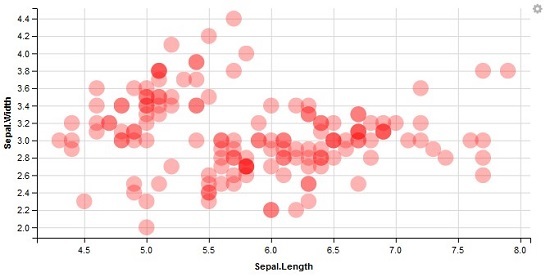 What will you learn from this R Tutorial for Data Visualisation using GGVIS package? 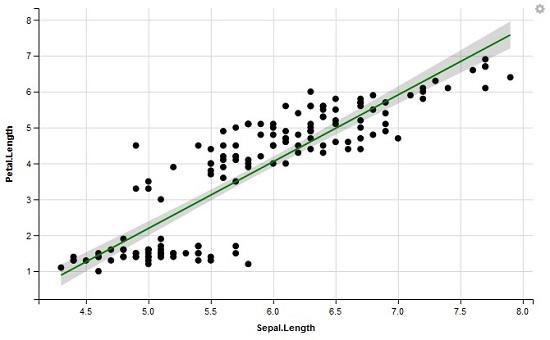 This R tutorial will help you learn the usage of the popular data visualisation package GGVIS so that you can create attractive visualisations to turn your data analysis results into sophisticated graphics. 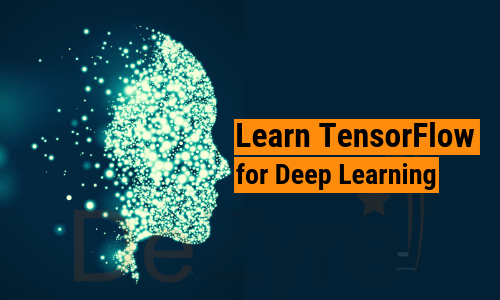 Learn to customize graphics using ggvis. Learn how to add interactive gears like sliders, checkboxes and colors to your visualisations. 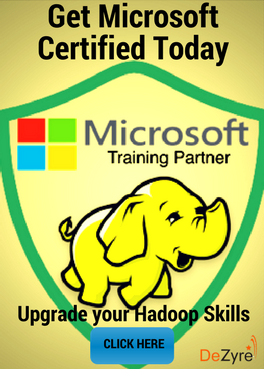 Earlier people used Microsoft PowerPoint and other data visualization software like QlikView, Tableau etc. to build reports or stories. 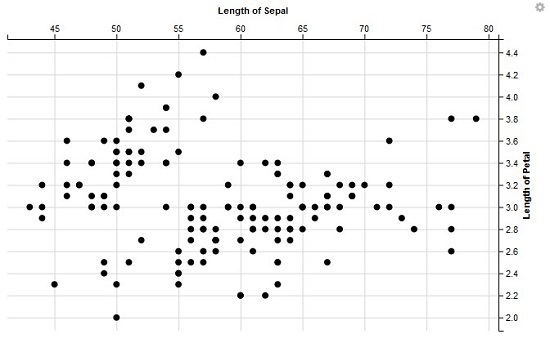 However, now people have started using R for data visualization as well (Thanks to Shiny!) 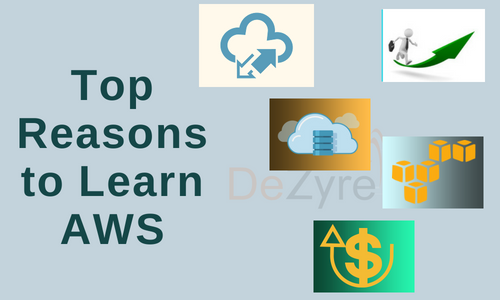 which is one of the powerful advantage of R programming language over its competitors like Python, SAS etc. 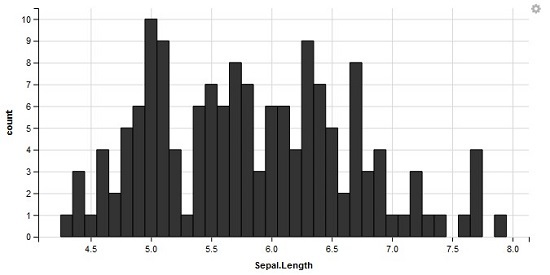 After the development of ggplot and Shiny there was a need to combine the best parts of Shiny, ggplot2, vega and dplyr. Recently launched R data visualization package -GGVIS is an implementation which takes best part of ggplot2 reactive framework of Shiny and web graphic features from Vega. 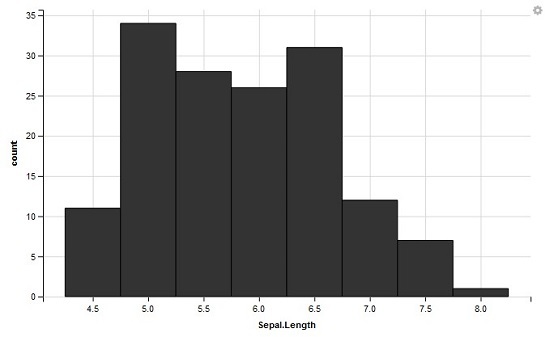 GGVIS package for data visualization in R combines best of the statistical R power & availability of a web browser. 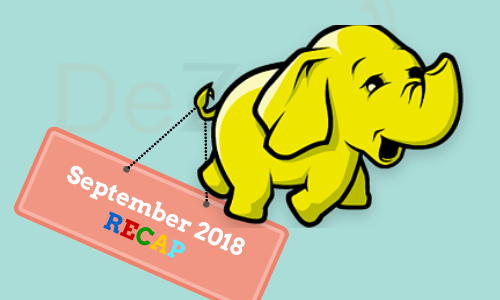 To start your learning journey on implementing data visualization techniques with GGVIS package– just like other packages in R, GGVIS has to be installed and loaded into current R Session. We will be using R Studio for the demonstration of the visualisation package because R Studio works similar to a web browser. GGVIS is an open source data visualization package available in CRAN library hence we can directly call install.packages() function which will search for ggvis data visualisation package in CRAN directory and install it for us. 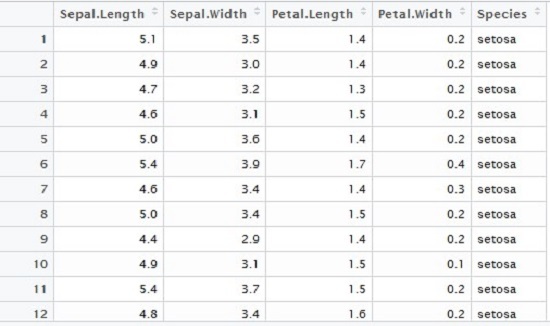 Dataset: First we need to pass the name of the dataset, using which we want to build our plots. 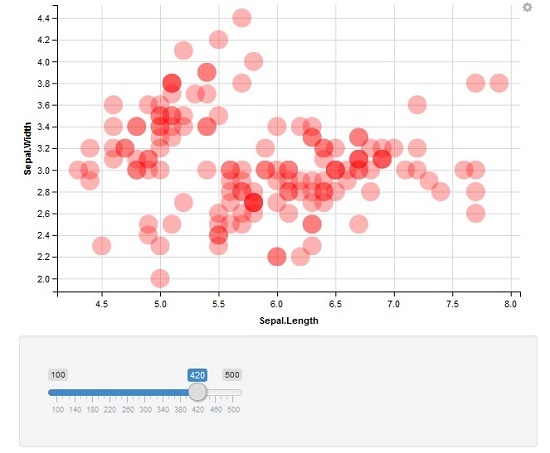 Similar to other data visualization packages, call to ggvis() starts with the dataset name and other arguments to map the objects you want to build. What? You ran the command and still it didn’t plot anything? That’s true because we haven’t told GGVIS to display the plot yet, let’s do that using the layer_points() function. 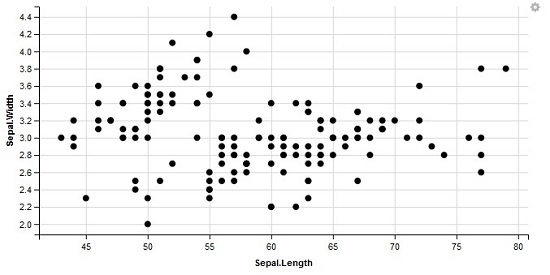 Using the last code line, we told GGVIS that we want to build a scatter plot on the ggvis object. 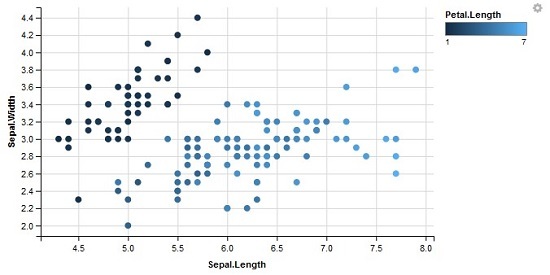 Apart from scatter plots there are other options available which can be used to build different types of visualisation, we will explore few of them in this GGVIS tutorial. Use of pronounced pipe operator gives you a lots of power to modify the output using dplyr data visualisation package also according to your requirements. You can also change the axis titles of the chart using add_axis() layer on top of previously built chart. As GGVIS is still in the development phase, there is no direct method to add title to your plot but you can add a title using other alternative methods. We can also add other variables to the plot by mapping them to one of the visual properties e.g., stroke, fill, shape and size. Let’s try it out and add Petal.Legth to fill color to the scatter points. 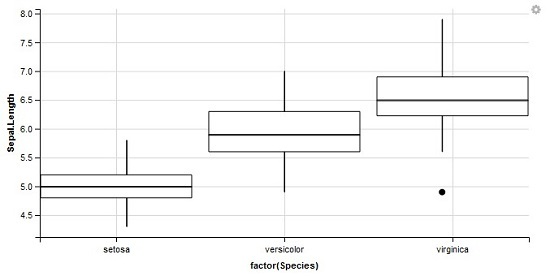 In the examples shown above, we have used variables to format our plots. If you observe the above code we converted Petal.Length to an integer variable in order to pass it to the shape of the plot. In above graph we have fixed the size, opacity and color to constant values together. Apart from Scatter plots, GGVIS provides a range of other data visualizations to be created- lines, paths, bars, histograms etc. 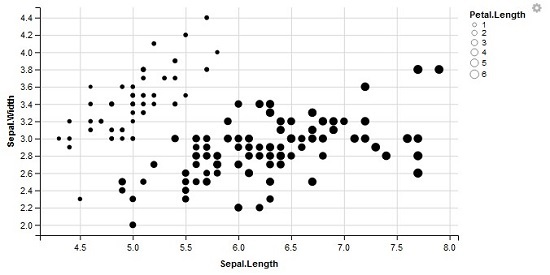 Similar to the scatter plots discussed above, layer_lines() also has formatting options like stroke, strokeWidth etc. 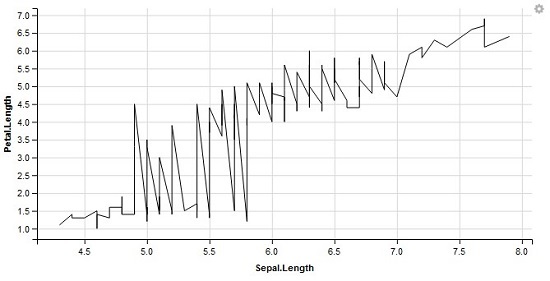 Layer_paths() is different from layer_lines() because layer_lines sorts the data on x-axis and then plots the line. 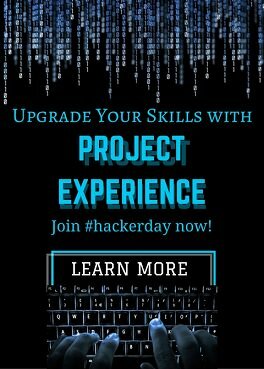 While layer_paths() connects the dot in the order provided by user. You can also create thick ribbons using layers_ribbons() layer. Can’t we have multiple layers? GGVIS also empowers you to have more than one layer on the same data. Let’s use the last two charts to plot in a single view. You can also change the wiggliness of the smoothened line using span parameter while calling the layer. If you observe the above code, there is no formula provided to layer_model_predictions(). 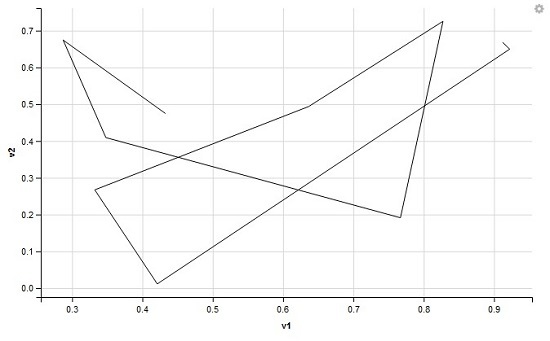 When no formula is provided it makes a guess from visualization object . In this case it creates a model with formula y~x. But if we want we can also provide formula to the function. GGVIS has smartly plotted a standard error band over the predicted line. GGVIS is a smart data visualisation tool, it provides liberty to make interactive plots which can be used in your Shiny objects. 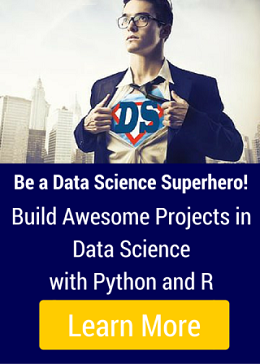 Similar functionality can be observed when executing the code in R Studio. 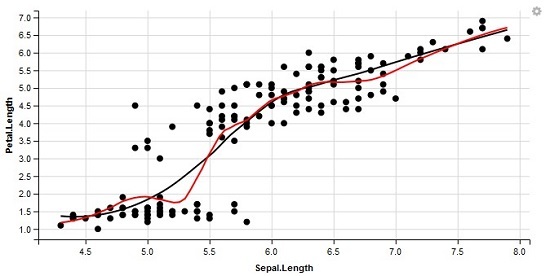 You can build interactive GGVIS plots without understanding Shiny but it is recommended to understand Shiny to avoid the limited functionality barrier. In the beginning of the GGVIS tutorial for data visualisation with R, we plotted a simple scatter plot which used opacity and size arguments. 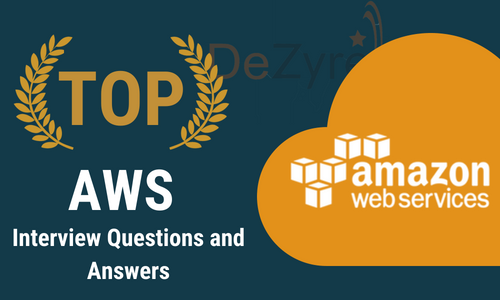 What if you want to provide freedom or functionality to a user so that he can change the size or opacity dynamically? 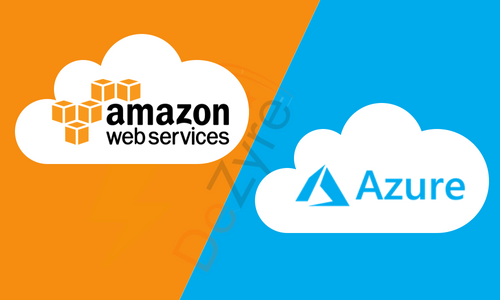 On executing the above code, you will observe a small slider at the bottom of the chart which can be used to change the values that will ultimately pass the value to size argument. Apart from input_slider() which provides minimum and maximum bounded selection slider there are other options as well. You might have observed two changes from last example. We have also included a label into input methods which shows above the input selection object. Following two plots show case two cases of different size selection. There is one important parameter map that changes your input value based on the function provided to map. 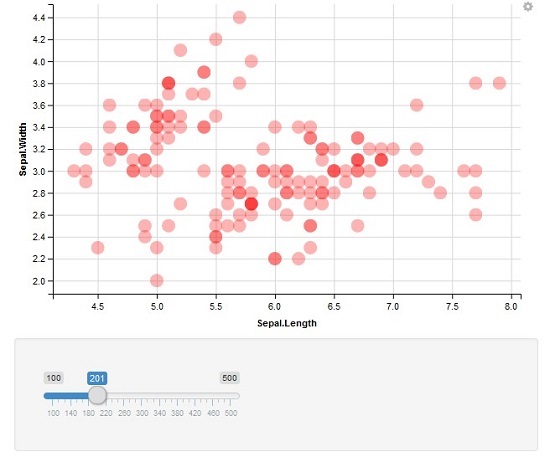 GGVIS package was built to provide the power of visualizing data or creating better plots for effective storytelling. As of today the controls are limited to changing the values of visualization parameters e.g., size, span, fill etc. But it doesn’t allow complex interactions like turning on or off certain layers, switching between datasets etc. GGVIS and Shiny when used together help data professionals make the best use of various data visualisation controls to convey the analysis results. 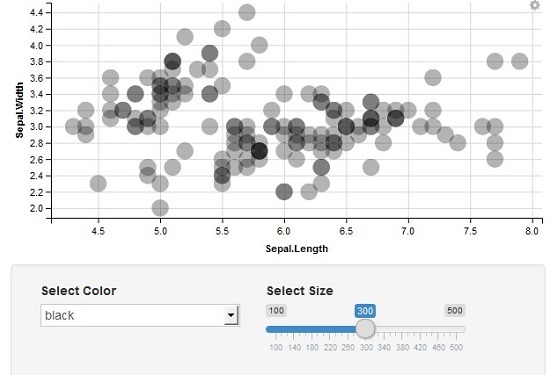 Embed GGVIS plots in Shiny app and you can have full control over the data visualizations you create. 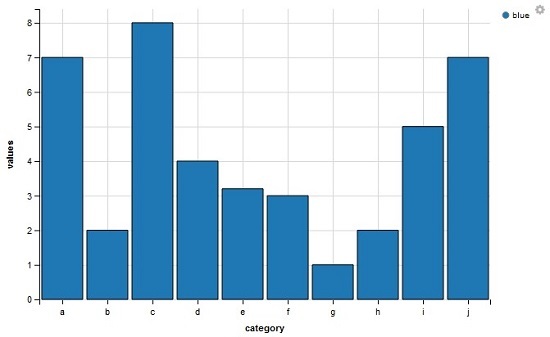 If this tutorial has helped you gain a knack of creating stunning data visualisations in R language then do not forget to hit the social media share buttons to help the data science learning community. 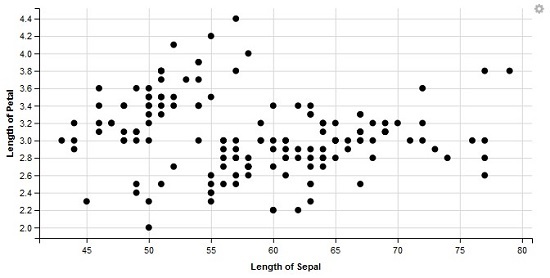 Hope this GGVIS tutorial has helped you become a Data Visualisation expert in R. Here is a simple exercise for you- Try creating interactive scatterplots of US demographics using the census dataset through GGVIS. 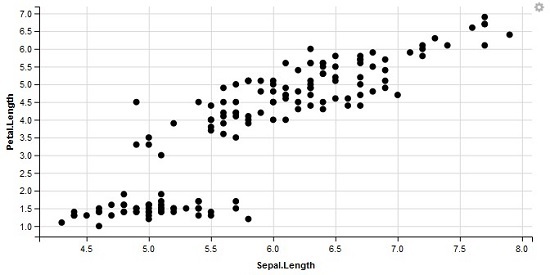 Identify any interesting correlations and outliers in the Scatterplot you have plotted using GGVIS. 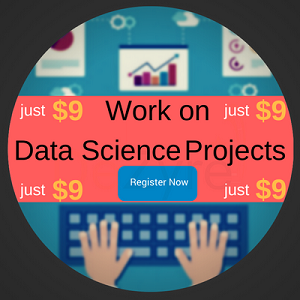 If you are having a tough time completing the exercise then this is the best time to master your analytic skills in R programming language. 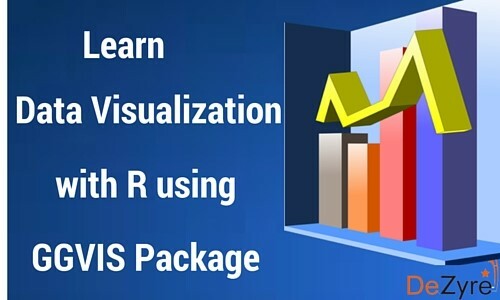 Enrol now to get a hands-on experience with GGVIS and various other packages for creating interactive graphics in R language.